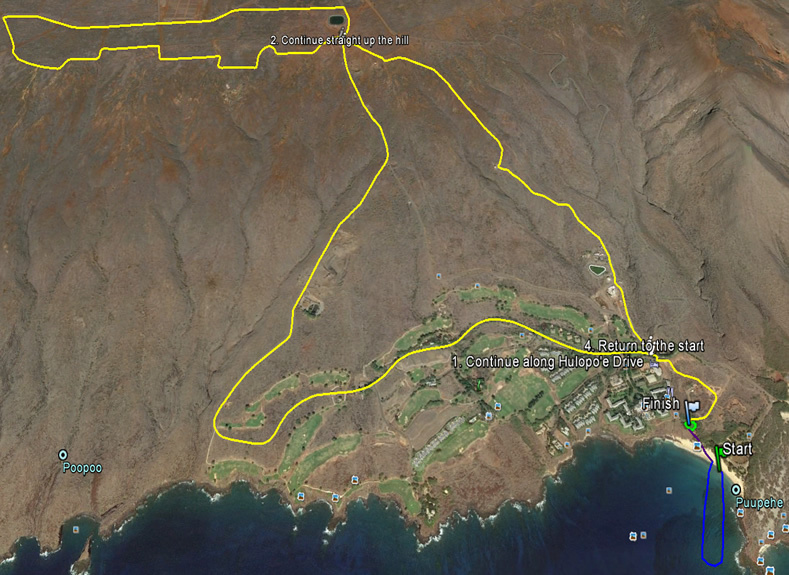 TriLanai Triathlon is a sprint-distance 0.5-mile swim in the marine preserve of Hulopo'e Bay, 10-mile mountain bike ride by the La Ola Solar Farm, and 3-mile run on The Challenge at Manele Bay Golf Course. It can be tackled as an individual event or relay, and is a fun event for experienced or casual triathletes. TriLanai Triathlon starts and ends at Hulopo'e Beach Park and is TriLanai's biggest production of the year. Take the challenge and TriLanai!